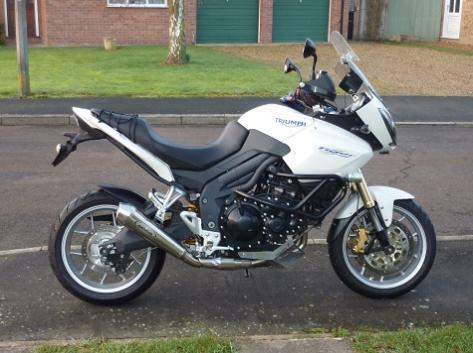 1050, however we bikers like to play with our toys and we can improve on the Tiger to suit our preference. riders who have the Triumph "Arrow Exhaust" tune say the TOR tune is a real improvement. Cost is only £40 and it removes the eco friendly flat spots. 2. I would then perform my airbox mod which is free. If you want to spend some money you could fit a K&N air filter at the same time but it is not essential. bike because it has to meet all the Eco rules. See my link to a great Italian site to view many of the options available. 5. When the supplied tyres wear out take time to buy the right replacements for you. In my case Dunlop Roadsmart II. 2. Next sort the screen to suit your preference (The standard screen is really a windbreak for the chest and as such works well). shock rebuilt by a suspension specialist . 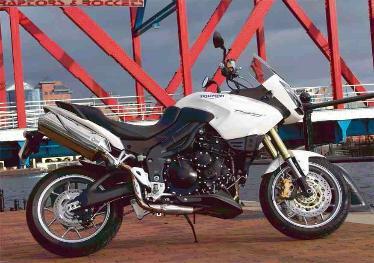 If you simply buy a standard Tiger 1050 and install the TOR you will own an outstanding motorcycle.